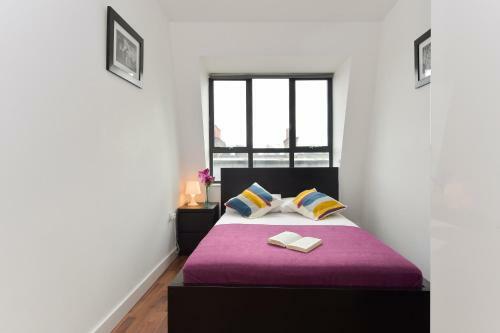 Old Street Apartments in London is an apartment building. 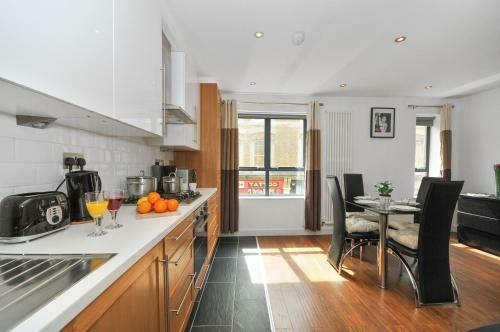 Near Islington, Old Street Apartments each boast a stylish, fully fitted kitchen, and is located just a 5 minute walk to Old Street Underground Station and 1 mile to Shoreditch High Street Overground Station. 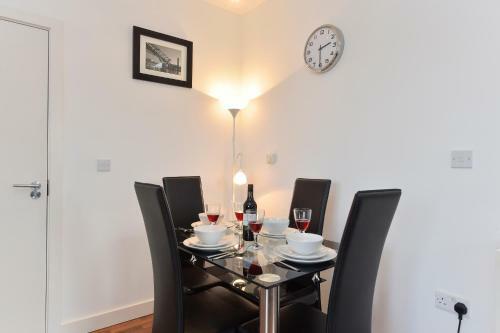 Modern features include an LCD TV, free WiFi, and a washing machine. The spacious lounge offers chic décor and a comfortable seating area. 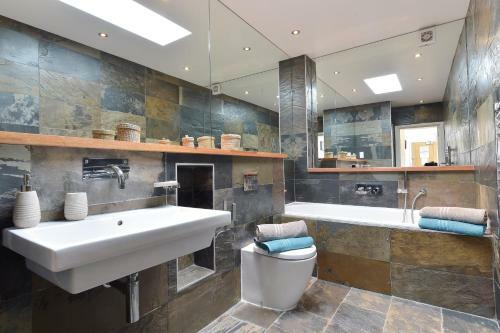 Some bright and airy bedrooms have an individual tiled private bathroom, with a separate guest bathroom available. 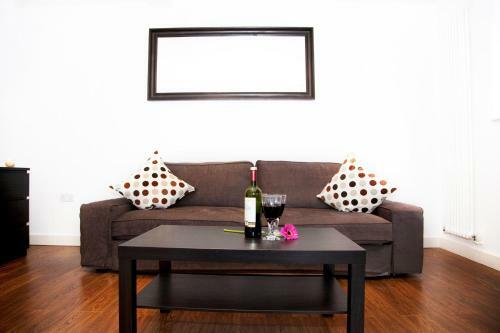 With hardwood floors throughout these... elegant apartments, a well equipped kitchen features an oven, stove top, kitchen utensils and a dishwasher. Guests can eat together at the dining table. The attractions in Westminster, the West End and the South Bank can be reached with a Tube journey from Old Street Station. 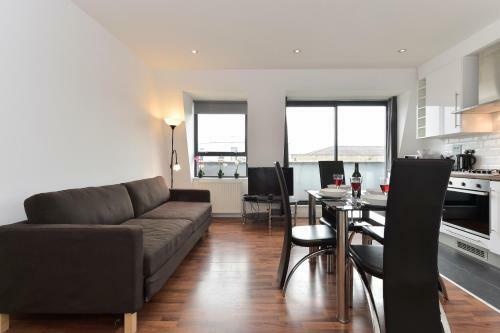 There is a range of bars, restaurants and theatres within just 0.5 miles of the apartments in the Shoreditch area. Brick Lane is just 1 mile away. 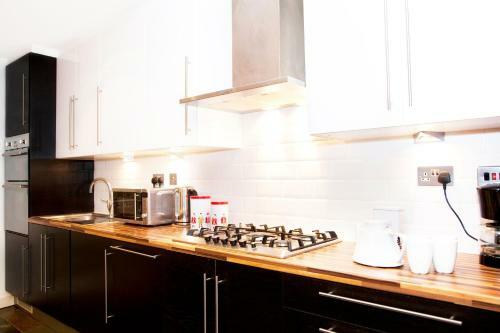 Near Islington, Old Street Apartments each boast a stylish, fully fitted kitchen, and is located just a 5 minute walk to Old Street Underground Statio...n and 1 mile to Shoreditch High Street Overground Station. 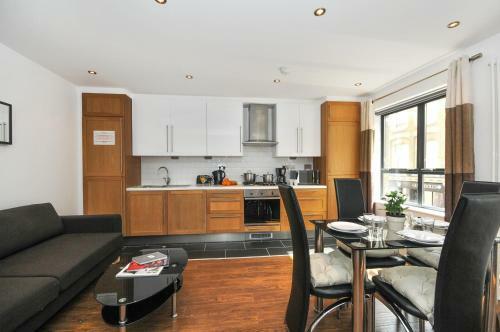 Modern features include an LCD TV, free WiFi, and a washing machine. The spacious lounge offers chic décor and a comfortable seating area. 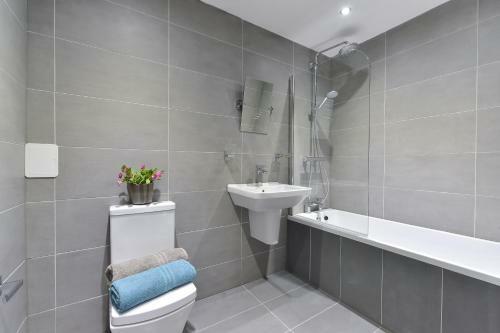 Some bright and airy bedrooms have an individual tiled private bathroom, with a separate guest bathroom available. With hardwood floors throughout these elegant apartments, a well equipped kitchen features an oven, stove top, kitchen utensils and a dishwasher. Guests can eat together at the dining table. The attractions in Westminster, the West End and the South Bank can be reached with a Tube journey from Old Street Station. 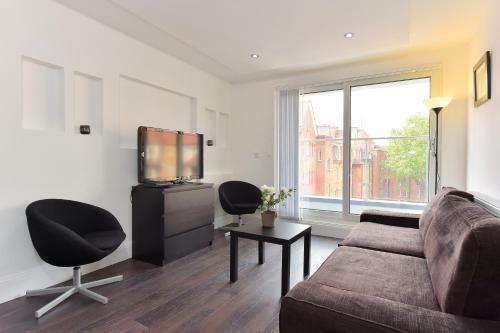 There is a range of bars, restaurants and theatres within just 0.5 miles of the apartments in the Shoreditch area. Brick Lane is just 1 mile away. 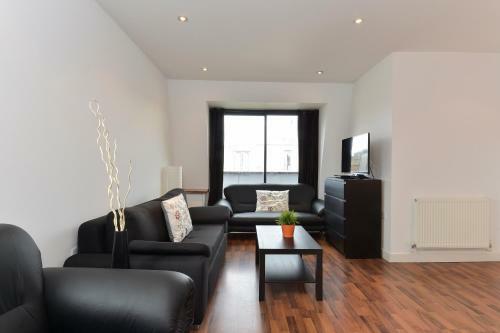 When would you like to stay at Old Street Apartments? Children and extra beds All children under 3 years stay free of charge when using existing beds. 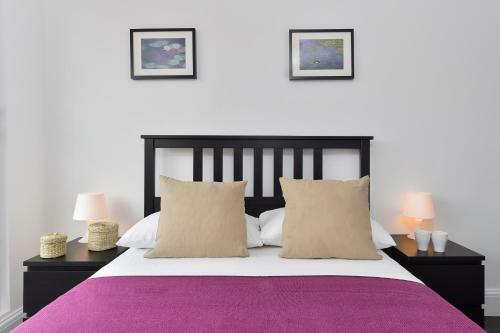 All children under 2 years are charged GBP 20 per person per night for children's cots/cribs. All older children or adults are charged GBP 20 per person per night for extra beds. The maximum number of extra beds/children's cots permitted in a room is 2. Supplements are not calculated automatically in the total costs and will have to be paid for separately when checking out. Any type of extra bed or child's cot/crib is upon request and needs to be confirmed by the innkeeper. 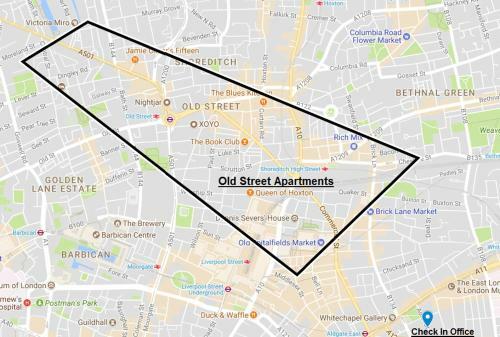 Please inform Old Street Apartments in advance of your expected arrival time. You can use the Special Requests box when booking, or contact the property directly with the contact details provided in your confirmation. A damage deposit of GBP 150 is required. You should be reimbursed on check-out. This property is located in a residential area and guests are asked to refrain from excessive noise. This property will not accommodate hen, stag or similar parties. Please note that the check-in and key-collection take place at: Unit 13, 1-13 Adler street, E1 1EG London. 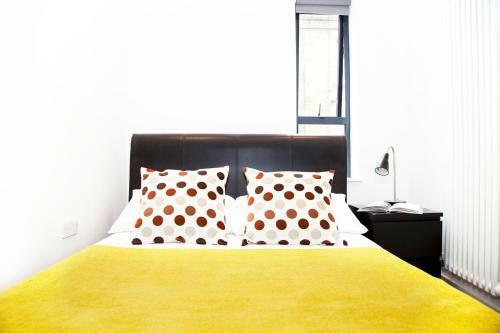 To check in, receive keys and pay for the stay, go to the office on the ground floor at: Unit 13, Adler Street, E1 1EG. Guests will collect the keys and get directions to their apartment. Check in after 21:00 takes place at Unit 13, 1-13 Adler Street, London, E1 1EG and is only possible upon previous agreement. Arrivals between 21:00 and midnight will be subject to a late check-in fee of GBP 20 and GBP 30 from 00:00. 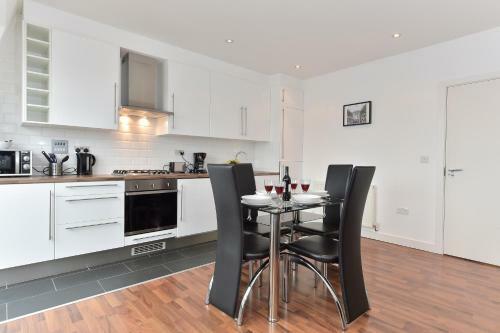 Please note that properties may be located within 20 minutes walk from the advertised area and the pictures shown are selected from several apartments. 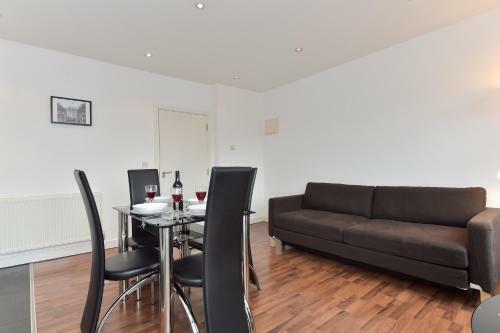 The apartments are of a similar standard, but may differ to the ones shown. Please note that for multiple apartment bookings units might not be located in the same building, guests are advised to contact the property as soon as the booking is made to request to be in the same building or as close as possible. This is subject to availability. Please note that all Special Requests are subject to availability and additional charges may apply. Upon check-in, guests must show a valid, government issued photo ID and the credit card used for the booking. The card holder must be present upon arrival. The passports of all the guests and their list must be available during check in. Presence of all guests must be required. Please note the lead guest must be 18 years and older. The apartment can be used only by the customers registered in the office. Visitors after 22:00 are not permitted. A security deposit of GBP 150 is required upon arrival for incidentals. This deposit is fully refundable upon check-out and subject to a damage inspection of the accommodation. 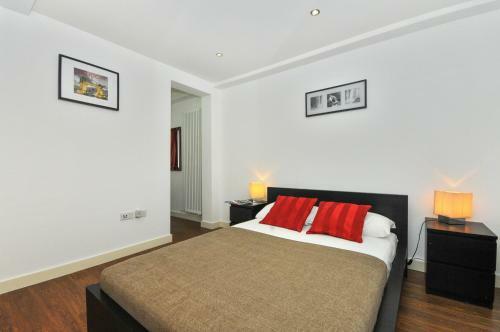 When booking for 6 guests or more, a security deposit of GBP 50 is required per person. 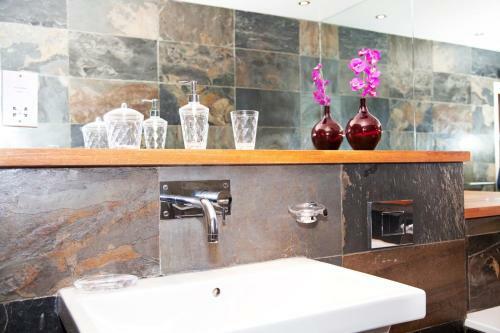 For last minute bookings the property reserves the right to increase the security deposit.